Carlebeck Tami Vidyalaya will commemorate its 75th anniversary this year. It has a student population of 540 with 23 teachers. The school offers classes up to grade 11, where students can sit for the GCE O/L examinations. The students attending this school are exclusively from Somerset and Radella eEtates. 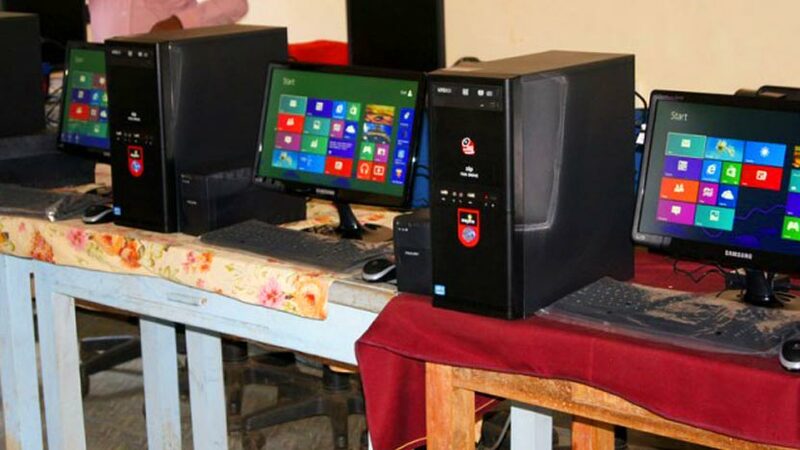 The school’s IT unit, with only six computers, received an additional four new computers from the MJF Charitable Foundation (MJFCF) on 31 January 2014. 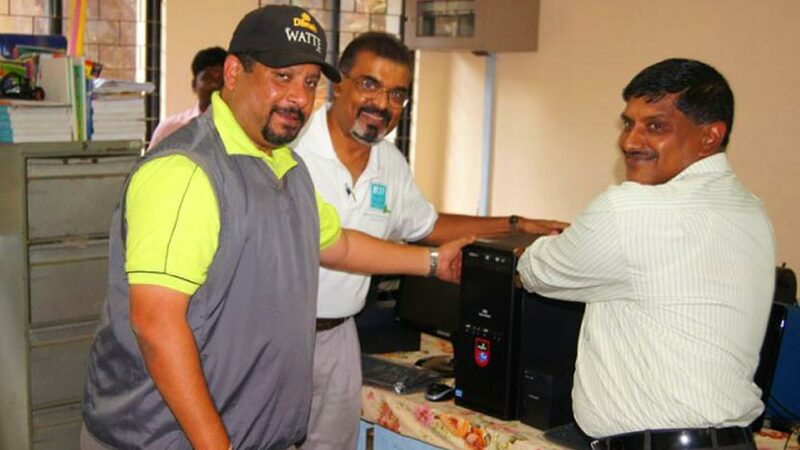 With the added equipment, the IT unit could now absorb students from grade six onwards for IT classes, which hither to was available only for students in grades 9, 10 and 11. 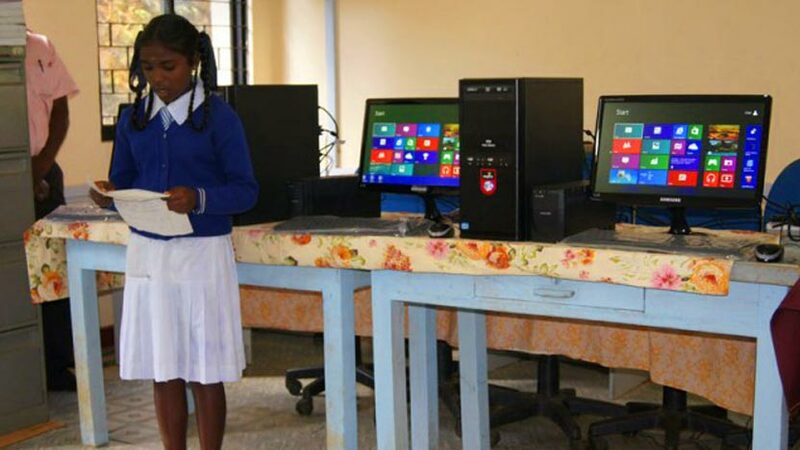 With the new addition, 340 students will be benefiting from the schools IT unit. 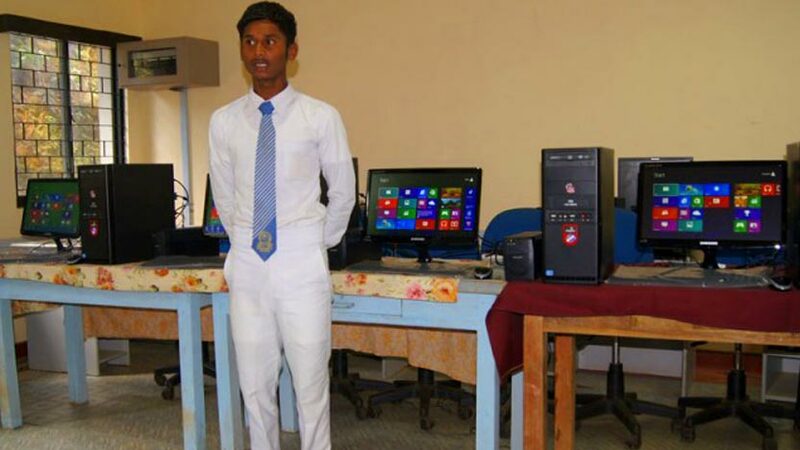 The Principal of Carlebeck Tami Vidyalaya, Ravichandran, expressed his thanks to the Somerset Estate and MJFCF for having extended their support to meet the schools computer needs. He also assured that the student intake for the IT classes can now be enhanced to meet the total demand. He expressed gratitude to the MJFCF for offering all students taking part in rugby at the school an opportunity to become a part of Sir Graham Henry’s visit to Somerset Estate, last year and for the previous donations of eastern band equipment to the school. 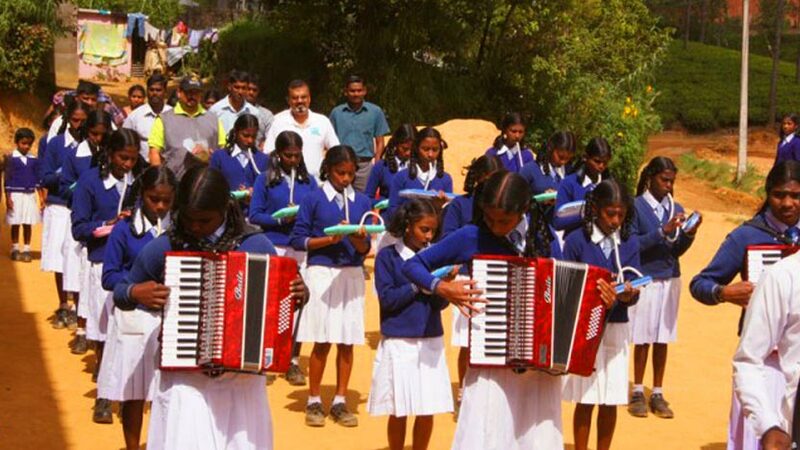 He announced that the school’s band participated at the inauguration of the April Blooms seasonal festival in Nuwaraeliya in April 2013.